When I went in to “Zootopia,” I immediately challenged the film to impress me. This is a film that continues to hold a 99% on Rotten Tomatoes, higher than my favorite film from last year, “Mad Max: Fury Road.” Had it not been for that insanely high rating, I would have no interest in seeing this film, especially after the painful trailers I had to sit through for this film with sloths in charge of the DMV. That joke was funny the first time, and is painful every time afterwards. We get it Disney, you don’t think very highly of the employees at the DMV. When you make that the focus of your trailer, it gives me pause when thinking about attending your film. But hey, 99%. So it had to do something right. Walking out of “Zootopia,” I wasn’t sure how I felt about the film. 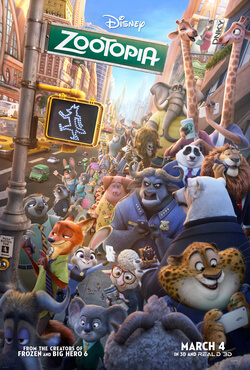 There were certainly many fanciful elements that could be enjoyed by children and adults, especially the intriguing mystery and the relationship between the two leading characters, as well as the colorful world of Zootopia that covers four different habitats for animals of vastly different locations to mingle. But then I considered “Zootopia”‘s message to the audience and the way it went about portraying it. At one point in the film, there is a point where the main character seems to look straight at the audience and discuss police brutality, that police are here to serve and protect and not cause more problems. As if the film is trying to talk directly to the city of Ferguson. I understand that police brutality is a hot topic now and don’t intend to interject my feelings on the subject. My opinion is not nearly qualified or informed enough for that. My issue is bringing up this deep and hated discussion in a Disney animated film. A movie that hundreds of thousands, if not millions, of children are seeing and have to be told by their parents that this rabbit is talking about police brutality. Then I let some time pass. 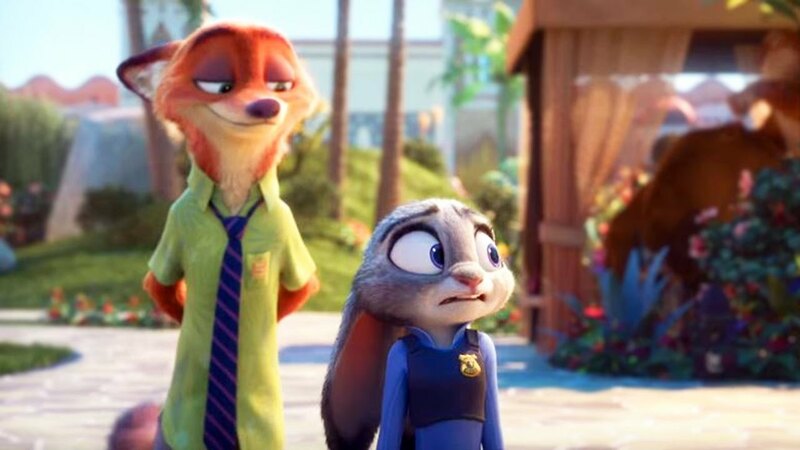 I reevaluated “Zootopia” and remembered a key scene late in the film, when our lead characters, Zootopia police officer Judy Hopps, a rabbit (voiced by Ginnifer Goodwin), and con man Nick Wilde, a fox (voiced by Jason Bateman), discuss something that had been bugging Nick for a long time – that Judy was always carrying a can of “Fox Spray” with her, even after befriending Nick. Nick questions why Judy would do this, unless she was afraid of the natural order of this world, where the predators are always looking for an excuse to attack the prey. Nick pretends to attack Judy, who is ready with that can of spray. This scene convinced me of what “Zootopia”‘s true message is about – fear. Every character in this film feared one thing or another. Judy feared the natural order and put up a pleasant front in the face of insurmountable odds. Nick feared showing his emotions in front of others, and saw them as a sign of weakness. But what “Zootopia” demonstrated more than anything else was that fear is not a weakness. It allows us to see the dangers of the world and guides us to showing a brighter future, one where others would not share those same fears. And that future begins with facing those fears and telling the world that you’re not going to let those stop you from being a better person. For a Disney animated film, that is a surprisingly deep message and a great one to teach children. In fact, it is a message that I’m sure some adults were happy to hear as well. This made me realize that, while I did not care for the pretentious way Judy talked about police protecting the people, the overall message of overcoming your fears, no matter how big they may be, makes “Zootopia” a movie worth seeing. This is helped by the lead characters being so utterly adorable and likable. From the moment we’re introduced to Judy at eight years old, all she wants is to be a cop in Zootopia, even after her parents tell her there’s never been a bunny cop and that she should be willing to settle. This only causes her to try even harder, to the point she graduates at the top of her class and knocks out a rhino in a boxing match by making him punch himself. Nick, however, is a scoundrel of the highest order. He plays everyone for a sucker and claims that he’s been making hundreds of dollars on the streets every day since he was twelve, hustling the animals of “Zootopia” with popsicle, skunk-skin rugs and anything else he can scrounge up. These two make “Zootopia” worth watching, especially as the two learn from one another and we see Judy enjoy herself as she hustles fellow animals to help with her ongoing case of finding a missing animal in heart of Zootopia. If I did have one other complaint with “Zootopia” it is that there are some scenes that are imaginative, and others that clearly lack it. The idea of a world where humans don’t exist but animals have evolved to the point where they have a human-like society is creative, but there is so much more that could have been done than what was given. For example, we never see an aquatic life in this film. There are all sorts of land animals, with the city of Zootopia being split up into several different regions, include a frozen tundra landscape, a dessert and a tropical rainforest. But where do the sharks and whales live? Do they even exist? Have they evolved to the same point as other animals? How come there are next to no flying animals in the police force? You’d think the ability to fly and analyze the environment, especially for a bird like an eagle, would come in handy many times for the police department. While there are some imaginative ideas in the world of Zootopia, I think it was difficult for the writers to grasp that this is not a human-created world. The animals don’t do very many animal-like things, aside from the occasional snarl, growl or joke about how rabbits love to breed. This story could have been told with humans and would have turned out just fine. “Zootopia” sits in that weird area where there was clearly some thought put into how this world works and is separate from our own, but not enough thought in other areas. 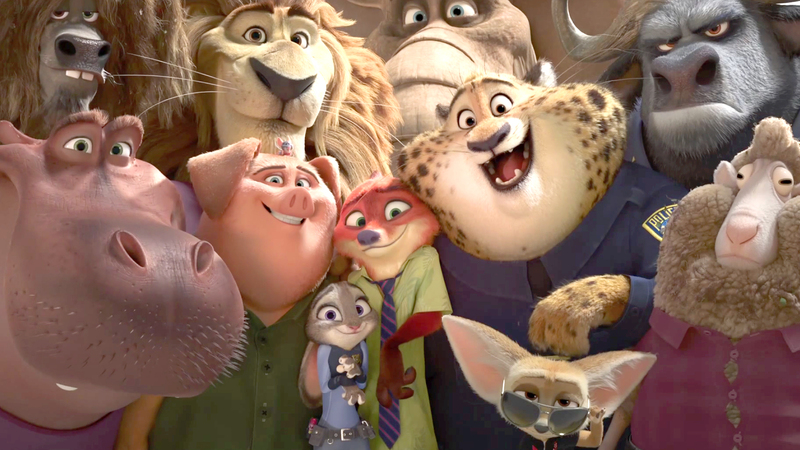 Overall, while my initial thoughts on “Zootopia” were less than glowing, I’ve come to appreciate the film was a funny and colorful ride that both adults and children can enjoy that has a timeless message about overcoming your fears. It may not be the most imaginative animated film in recent memory, but there is enough to keep the concept of an animal-led world intriguing and makes the mystery of the missing animals worth watching. Just be glad there is only one scene with the sloths at the DMV.